Jokes surrounding airline food are almost as old as the commercial aviation industry itself. But Chinese businessman Li Liang hopes to change that with his unique take on in-flight food. When Li brought an old aircraft from Indonesian airlines, Batavia Air, in 2015, he only had food on his mind. The plane was taken to pieces and reassembled in China's Wuhan. Not only did Li have to deal with over six months of legal permits, he also had to arrange for the shipping costs of the 70 containers that were the dismantled pieces of Boeing 737. 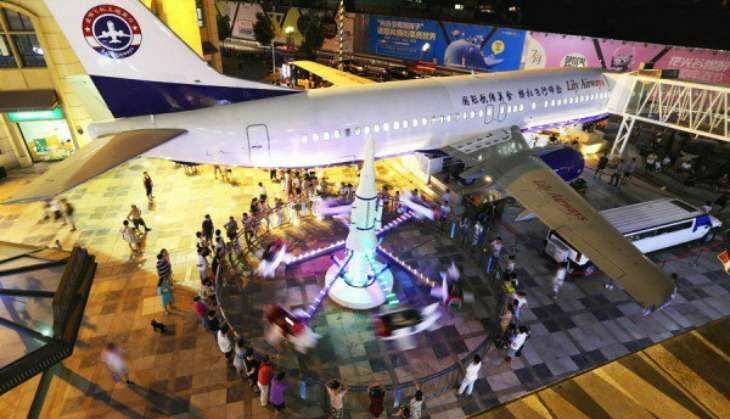 The aircraft, which now rests in Optics Valley Pedestrian Street, one of the busiest shopping areas of Wuhan, is now a restaurant named Lily Airways. A meal at this restaurant will set you back by 200 to 300 yuan per person (Rs 2,000 - 3000 approx). The restaurant also has a play area for children, while older patrons can entertain themselves in the cockpit, which has been converted into a flying simulator. To be noted: There are a number of expensive cars that are randomly lined up at the foot of the plane. Our best guess? They probably belong to the owner who has run out of parking space.